If you're thinking about buying a home or refinancing, come see us first. We can connect you with a hard-working loan specialist who is focused on getting you the right loan quickly. Today’s fast-moving real estate market makes getting pre-qualified more important than ever before. First National 1870 is partnered with an amazing team of lending professionals at Guardian Mortgage, our mortgage division. With Guardian, you can count on having a real person available to speak to every step of the way. They will consult with you and help you choose the best loan program for your needs. At Guardian, there’s no hype, surprises or games. Just common sense and hard-working professionals seeking out the best for you. Count on them for competitive rates and terms designed to work with your financial goals. Fixed Rate Mortgage Loans (FRM) – Conforming or Non-Conforming (Jumbo) or Government (FHA/VA) With fixed rate mortgage loans, you can enjoy the same interest rate and monthly principal and interest payment throughout the entire term of the home loan. Financing with a fixed rate mortgage loan provides stable, predictable payments. Adjustable Rate Mortgage Loans (ARM) – Conforming or Non-Conforming (Jumbo) After the initial fixed-rate period, the remainder of the home loan term is divided into adjustment periods of 1 year. Each year the interest rate will adjust based on the following three parameters – index, margin, rate cap. The new rate will be the Index, added to the Margin, and rounded to the nearest 0.125%. This new rate is subject to the Rate Cap and cannot exceed this cap for its adjustment. Libor Indexed: One-Year, 3/1, 5/1, 7/1, 10/1, and 15/1 ARMs available. 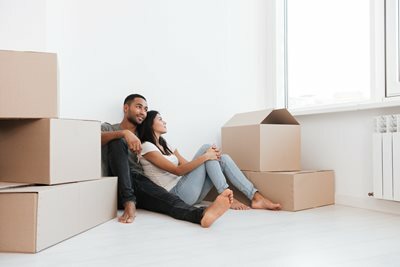 First Time Home Buyers Loan – FHA Loans Insured by the Federal Housing Administration (FHA), the loan is fully amortized over a 15 or 30-year period and features constant monthly payments. U.S. Department of Veterans Affairs – VA Loans The U.S. government’s VA home loan program may be used to buy a home or condominium, to refinance an existing home loan, or to build a new home or to install energy-saving improvements. Special programs also exist for Native American veterans. Veterans or active duty personnel can apply for a VA loan via approved private lenders, such as Guardian Direct. The Department of Veterans Affairs (VA) guarantees qualified loans, which allows lenders to provide veterans and service members with low-cost loans containing some great features often not available to the general public. USDA Rural Development Loans This U.S. Department of Agriculture (USDA) sponsored program assists approved borrowers by providing low- and moderate-income households the opportunity to own adequate, modest, decent, safe and sanitary dwellings as their primary residence in eligible rural areas. Eligible applicants may build or improve a dwelling in an eligible rural area. This government sponsored program is designed to “improve the economy and quality of life in rural America.” It offers low interest rates and no down payments. Jumbo Loans (Fixed or ARM) Non-Conforming mortgage loans are standard mortgage loans secured by a one-to-four family residential, first lien mortgage but have a loan balance greater than conforming mortgage loan limits. Just like regular mortgages, Jumbo loans are available in fixed or adjustable varieties, but generally require a larger down payment, better credit scores, and lower debt-to-income ratios.